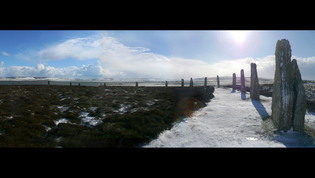 Andrew took these awesome panoramic shots on a recent vacation trip. 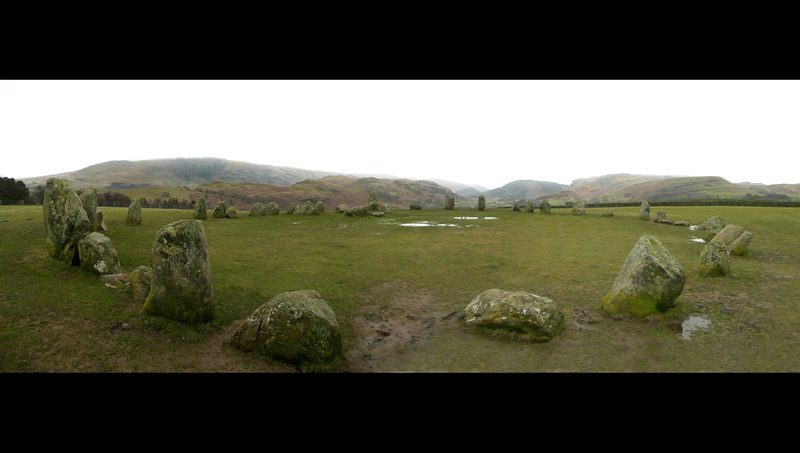 The arrangement on the left is the Ring o’ Brodgar, the Stone Circle at Castlerigg is on the right. I don’t know much about how the circles came to be, but then, neither does anyone else. I believe these were set up by ancient Celtic slaves under the watchful eye of Bill of Chomdepogh the legendary Druid contractor. Oral tradition states that “Bill” as he was known familiarily by tribal chieftains of his day, was pretty much semi-retired and sitting around the cairns watching sports all day. 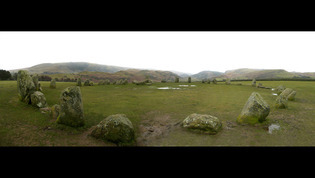 Mrs. Bill was P.O.ed at having him constantly underfoot, so she suggested that he “Daeh sohmthang uesfell.” So Bill came up with the idea of perplexing future generations by having stones shipped in from all over the place and setting them up in circles. What a card!